Multi-Objective Evolutionary Algorithms (MOEAs) have been widely used to address regression test optimization problems, including test case selection and test suite minimization. GPU-based parallel MOEAs are proposed to increase execution efficiency to fulfill the industrial demands. When using binary representation in MOEAs, the fitness evaluation can be transformed a parallel matrix multiplication that is implemented on GPU easily and more efficiently. 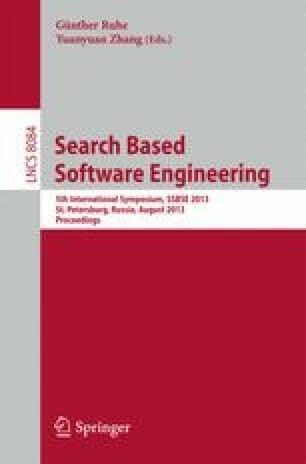 Such GPU-based parallel MOEAs may achieve higher level of speed-up for test case prioritization because the computation load of fitness evaluation in test case prioritization is more than that in test case selection or test suite minimization. However, the non-applicability of binary representation in the test case prioritization results in the challenge of parallel fitness evaluation on GPU. In this paper, we present a GPU-based parallel fitness evaluation and three novel parallel crossover computation schemes based on ordinal and sequential representations, which form a fine-grained parallel framework for multi-objective test case prioritization. The empirical studies based on eight benchmarks and one open source program show a maximum of 120x speed-up achieved.